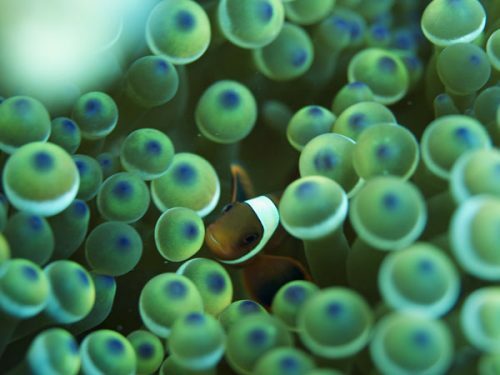 Welcome to Saltwater Aquarium Blog, your online guide to building a better saltwater aquarium. Since 2009, I’ve connected with a half million readers, and I’m glad for the opportunity to connect with you! 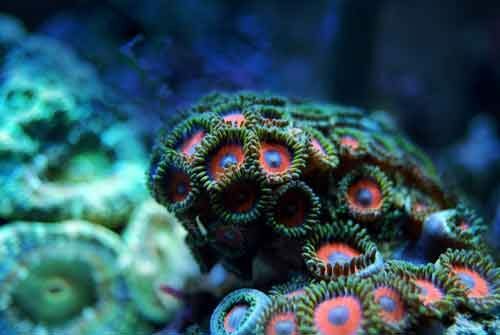 You can also find a lot of helpful advice about building a better saltwater aquarium here on this site. Let me share with you how. Because Saltwater Aquarium Blog is a blog, the articles automatically display with the most recent articles first. As you go deeper into those archives, you time travel backward. This is a fine way to explore and discover helpful tips, tricks, and advice, but it isn’t focused or organized in any specific way. Feel free to check out the most recent articles and work your way backward. If you’re looking for a specific topic and know what you want to find, consider using the search function by clicking the magnifying glass at the top right of the page. Looking for a step-by-step setup guide on how to set up a saltwater aquarium? Are bristle worms good or bad? If you want to be successful in the saltwater aquarium hobby, it takes some patience, planning, perseverance, and a desire to learn about and care about some of the world’s most beautiful, and often fragile creatures. When I started out in the hobby, I was confused and overwhelmed. There was plenty of information out there–but sorting through it all was sometimes a challenge–and the advice given was not always accurate. Along the way, I’ve continued my learning (either through reading, talking with others in the hobby, or messing things up pretty badly myself). There are plenty of people out there who know a lot more about the saltwater aquarium hobby than I do–but I started writing Saltwater Aquarium Blog for those of you who are like me when I started out. You want to learn, plan and be successful–but just need to be pointed in the right direction. Success in this hobby is all about creating a stable environment for the animals in your tank. In order to do that, you need some knowledge of the basics, some time, equipment, patience, and persistence. You have to understand what the needs are for the animals in your tank (sometimes called husbandry requirements), and you have to provide that for them–almost every hour of every day. The way you do that is by maintaining near-perfect water conditions with the right equipment and maintenance. When you stray from those ideal water conditions, your risk of having problems goes up. Don’t let that scare you though–because there are lots of tools to help you. Why keep a saltwater aquarium? 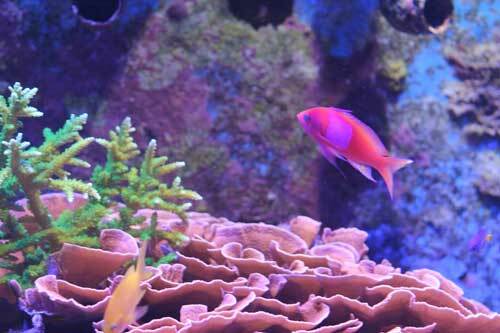 Setting up and maintaining a healthy saltwater aquarium can be a relaxing and rewarding hobby. Studies have shown that watching fish in an aquarium can have a calming effect that lowers your pulse rate and blood pressure. The saltwater aquarium hobby is one part creative expression, one part gardening (underwater gardening) and one part pet ownership. You get to watch the animals grow and adapt to the environment you created for them and provide for them. It’s a pretty cool thing. Does a saltwater aquarium have to be big? When the saltwater aquarium hobby first hit the scene, a lot of people thought that you had to have a big tank in order to be successful. 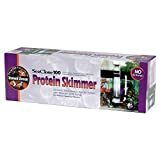 Over the years, the equipment used to keep a saltwater aquarium has gotten better, as the processes for transporting fish and invertebrates have gotten better…so now you can be successful with just about any size aquarium you would want. Now, size is a trade-off decision, not a requirement. Check out my review of some of the most popular rimless nano tanks for a few ideas on how to start small. Does a saltwater aquarium have to be expensive? Owning a saltwater aquarium can be expensive. Many people choose to spend a lot of money on the equipment and livestock in their tanks, but it a saltwater aquarium doesn’t have to be expensive. I recommend you start off small, try it out and see how much you enjoy the hobby before you get into the expansive side of things. Where can you buy a saltwater tank? Believe it or not, one of the best places to buy a saltwater aquarium is from another saltwater aquarium hobbyist. For better or worse, there are two prominent trends in this hobby. This is a hobby where the most enthusiastic people are generally changing, upgrading or swapping out parts of their tanks…so at any given time, there is usually a decent supply of gently used tanks and gear. You can usually stretch your budget and get more for your money if you buy used. It’s also a good way to tap into the knowledge of others and get started on the right foot. Check out Craigslist and local saltwater aquarium hobby forums for used gear. If you’re looking for a store with a physical location, your best bet is to look for a specialty (generally independently owned) shop. In the hobby, we like to call these local fish stores (LFS). The reason I recommend these stores over the big box national retail chains is that the local fish stores are generally run by aquarium enthusiasts who have a passion for and knowledge about the hobby. Aquarium equipment, fish, and corals are not commodity products, they require a certain amount of tender loving care and knowledge that, in my personal experience, is more commonly found in the local fish store than in the megastores. It might cost you a little bit more, but it’s generally worthwhile to get the additional education and support your LFS can provide. If you already have a good degree of comfort with understanding what it takes to set up a saltwater aquarium successfully, another great place to buy a saltwater aquarium is online. The all-in-one aquarium systems are turnkey solutions that are easy to ship and set up right out of the box. 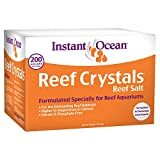 If you’re looking to score a good deal, check out the options available at online retailers like Amazon.com, where you can often get some of the best prices on JBJ or Coralife brand cubes (Affiliate links). They make great starter saltwater aquariums. Looking for a more formal education? Thanks for checking out Saltwater Aquarium Blog, your online guide to building a better saltwater aquarium. We all have limited time to surf the web and consume content and I’m truly grateful that you are spending some of that time here with me and my writing. I hope you enjoy the time you spend here and learn something along the way. That’s what this blog is all about. I just purchased my first 220 gallon used salt water aquarium from my local lfs. I’m looking forward to join the saltwater aquarium blog community , because i need all the help i can get. thank you.john onacilla. Congrats on the purchase–that’s an awesome tank!! Thanks for checking out the site and joining the community. I look forward to engaging with you here, on email and on Facebook, Twitter and Pinterest! Thanks so much for checking out the site and leaving the comment. I agree with you there–you never can learn too much AND things are continually evolving. Are there any specific topics you’re most interested in these days? Thanks, Jimmy. What type of aquarium are you most interested in keeping? having a nightmare just now with my fuge tank. I cant stop scum (like red mucus scum clumps) floating on the water surface also the calaup has lots of air bubbles on the leafs then a brown red algae cover it. I have a bubble magus skimmer that does the water before it goes into fuge. Hi David, thanks for the comment. Glad to have you here. Sorry to hear you’re having some problems with diatoms or cyanoalgae. Sending you an email now. Hey, Great site you have here, accurate and helpful content. I too run a blog for beginners entering in the aquarium hobby. Your work and site is a real inspiration! so thank you! Thanks for the nice compliment, reef-fin. Glad to have your support. I was wondering what the timer in your article about culturing phytoplankton was for. I assume it would be for setting up a day/night cycle for the light, but I’m not 100 percent sure. Also, if you have any other tips for someone looking to culture phytoplankton they would be much appreciated. Thank you for the help and I hope to hear from you soon. Thanks for the question and sorry it wasn’t more clear in the article. I’ll add it to my list of updates.You are correct that the timer is for the lights to set up a day/night schedule. I started with a 24 hour own schedule, then went to 12 hours on/12 hours off, once I read and learned more about the photosynthesis cycles. At different points in time I scaled back to 11 and 10 hours on as tests and didn’t notice much difference in growth (meaning it still seemed close to max growth with even a little less light). The biggest two tips are: 1) stay sterile. Take your time to make sure you don’t cross-contaminate and 2) create backups. Stash small bottles in a fridge for a few days so you can restart easily in case it crashes. Thanks for the comment and support, Jay!! I appreciate that you’re here. Hi there, I have been looking to get myself a small tank setup to go in my office and to be honest there is so much information all around the web that I am struggling to work out what is what! I think I understand the majority of the basics but I can’t for the life of me work out the difference between certain heaters and which are best. I read a review about an hour ago on the Aqueon Pro and that seems like a good choice….but having read your suggestions I am having second thoughts. What are you currently using in your setup and if you don’t mind me asking where did you get it from? Apologies if you have answered this on one of your other pages!